Friends, I was sorry to read this morning that the National Western Stock Show has cancelled its longhorn parade in Denver tomorrow because of the cold and snow forecast for tomorrow: a high of 12 degrees F., with up to 10 inches of snow set to fall in the next 27 hours or so. 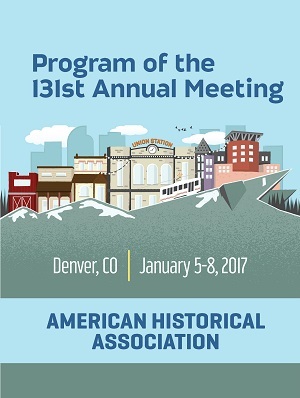 Don’t worry about planes landing in Denver tomorrow–most of the snow will be overnight and done with by 11 a.m. Thursday, before most historians muster for the American Historical Association’s annual meeting. You flatlanders probably won’t believe me, but January is typically a dry and sunny month on the high plains. The fact of the matter is that literally anything can happen weatherwise in any month not July or August on the Front Range (the foothills & plains to the immediate east of the Rocky Mountains.) I’ve seen January afternoons in the high 60s, and I’ve seen snow in both May and October–sometimes in the same year–and people who have been here longer than I still tell stories about the Labor Day snowstorm in Fort Collins in 1985. Please bring a hat, gloves, a scarf, and sturdy boots! I was hoping not to have to lug my Keenes down to Denver and just go with boots longer on the looks than the traction, but I’m reconsidering. . . of course, it will be sunny and 50 degrees on Sunday, when most of you will be flying home! ← Teaser Tuesday: Puritan, Captive, Catholic, Spy? I just want you to know, Ann, that I have maintained my protest against Denver fashion for nearly eighteen years now, and I will continue it, despite your well-meaning advice, by wearing a “full-on” suit, as it is known here, rather than the usual male uniform of sage fleece, cargo shorts, and river-rafting sandals. I expect to see several attendees in that attire, weather be damned. You’re right: outdoorsy slob is the modal Denver white guy look. Good for you! See you soon. “Modal Denver white guy look” is now part of my lexicon. We need all the snow we can hear about back here on the East Coast. It’s been bone-wet, but hardly a flake east of the Allegheny Ridge. Back in the day, those steers would have just pushed the handlers aside and done the run on their own. My favorite book from first year of graduate school was Robert Dykstra, _The Cattle Towns_, set in north Texas but especially in Kansas. With even a chapter on the historical Dodge City, where Main Street shootouts were as rare as blizzards in St. Augustine.